Registration is now open! Looking for a fun and memorable way to make an impact in Central Florida? 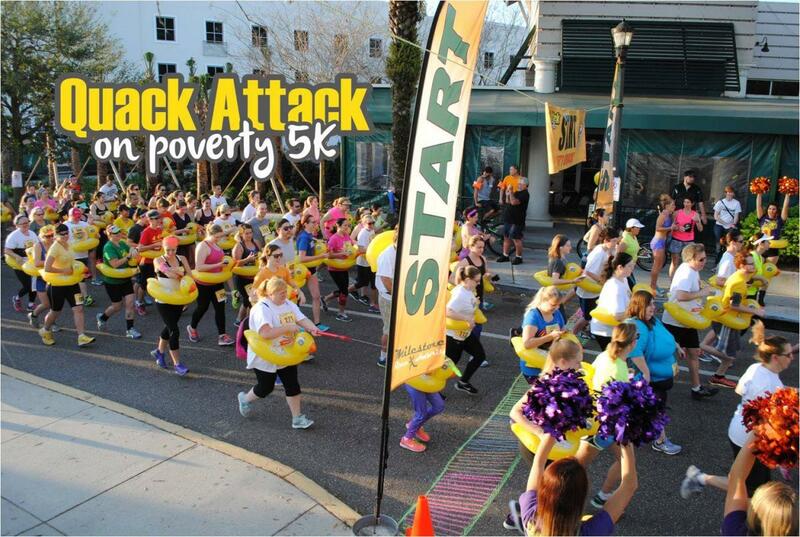 The Sixth Annual Quack Attack on Poverty 5k fits the bill! On Saturday, February 16, you are invited to join friends and neighbors to run, jog, stroll or roll 3.1 miles…all while wearing an inflatable duck-shaped pool float around your waist! The goal of this one-of-a-kind charity 5k is to raise funds and awareness for the nonprofit United Against Poverty, whose mission is to inspire and empower people living in poverty to lift themselves and their families to economic self-sufficiency.